A recently published study reports that medical marijuana can be an effective and preferred treatment for pain. 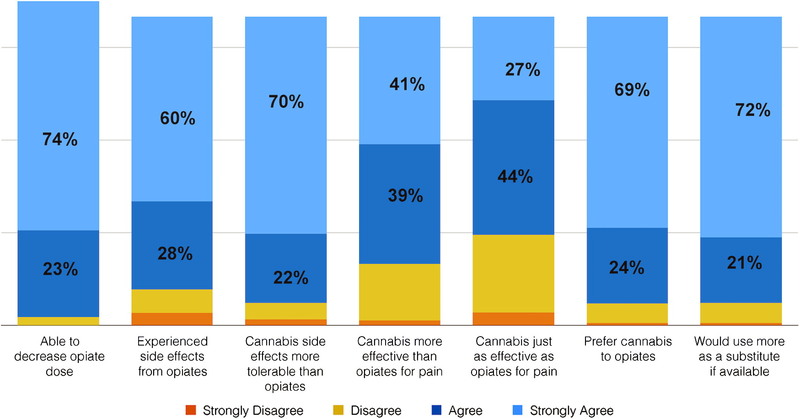 It found that 97% of patients said they are able to decrease the amount of opiates they consume when they also use cannabis, and 81% said that using cannabis by itself was more effective at treating their condition than taking cannabis with opioids. Fortunately, as medical marijuana becomes legalised in more and more states, supply has reacted to demand. Through companies such as herb collective in orange county, individuals are able to have their pain relief needs met. The pain management options in the study were opioids, which are widely distributed for intense pain relief, or medical marijuana. The researchers found that the patients themselves much prefer cannabis, and many believe it is just as effective for their pain. Some opioid side effects include nausea, vomiting, constipation, physical dependence, and respiratory depression. Medical marijuana reduces the chance of dependence, and eliminates the risk of fatal overdose compared to opioid-based medications. “Prescription drug overdoses are the leading cause of accidental death in the United States. Alternatives to opioids for the treatment of pain are necessary to address this issue,” the researchers write. 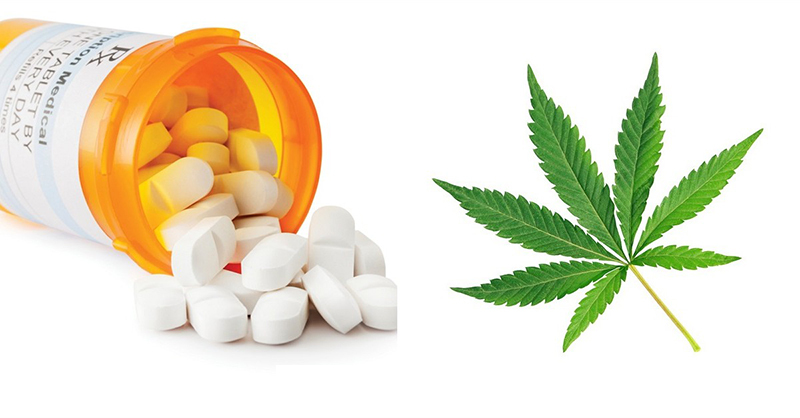 This study found a similar pattern of results when looking at substituting cannabis for non-opioid-based pain medications like Tylenol and Advil. Some research suggests that long-term use of these medications might lead to organ damage. With cannabis becoming more accepted by patients and society, more people are considering it a viable treatment for even everyday ailments such as muscle soreness and inflammation. Cannabis is also found to be effective in therapeutic uses for multiple sclerosis, glaucoma, and spinal cord injuries. 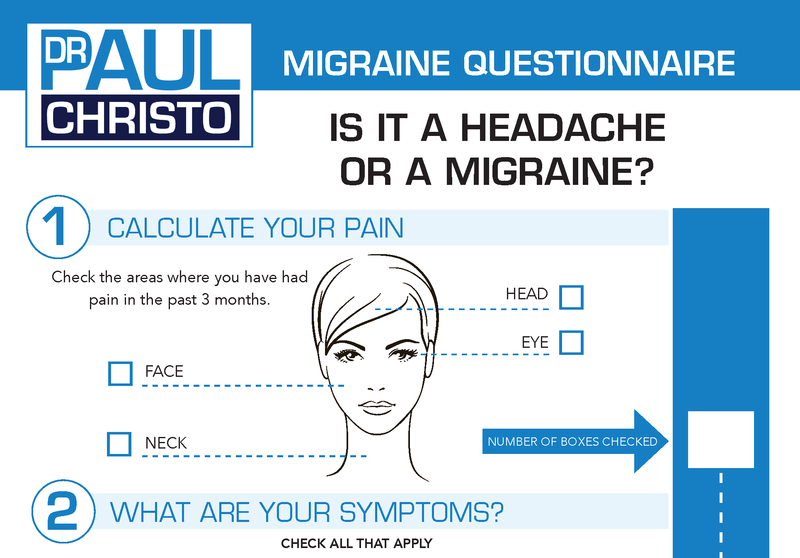 Montel Williams talked with us on Aches and Gains® about his use of marijuana for treating MS pain and spasms. We’ve also heard from Tommy Chong about his longtime marijuana usage, and how it helped him overcome the pain of rectal cancer along with other treatments. While this study is promising, further research into the benefits and harms of medical cannabis is needed. This study was based on patient report which can lead to biased results. Further, the study sample came from HelloMD, an online community for medical cannabis patients who were probably more likely to have had success with cannabis for their pain. Posted in Addiction, Blog, Holistic, In the News, Medical Marijuana, Self Management. At first, i didn’t believe that marijuana can cure illnesses. But one of my friends recommends me to use CBD as a medicine for my lower back pain. I am suffering this for about 2 months now. So, I decided to give it a try and then it works. And as along the way, i read this article https://www.worldwide-marijuana-seeds.com/blogs/marijuana-news/cannabis-as-medicine that marijuana can be used as a medicine in some other disease.